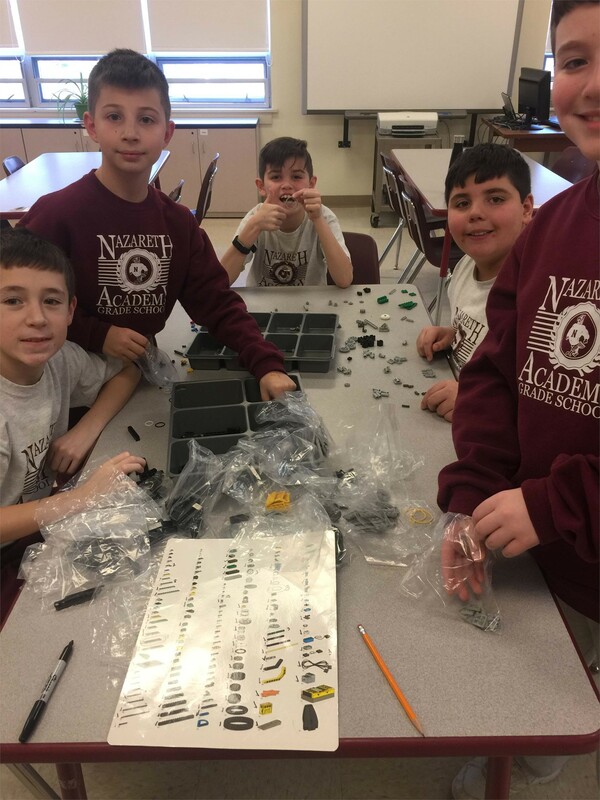 Nazareth Academy Grade School offers a wide variety of exciting after school clubs from 3:00 to 4:00 PM unless otherwise noted. These clubs offer students an opportunity to explore new activities or to pursue an existing interest in more depth. Enrollment in a unique roster of clubs is available twice per year. Students must be picked up on time. Students focus on complicated designs to relax and enjoy artwork. Colored pencils or pens are required. Grades 2 - 8, limit 15 students. Introduction and advanced skills. Grades 3 - 7. Limit 15 students. This fun activity after school involves some crazy experiments. Grades 4 - 7. Cost $5.00 per student. Quiet time provided to read your book in peace, have milk and cookies OR listen to a story. $120.00 for 10 week program: Every Thursday after school until 4:30 PM starting September 27th. Only 30 spots available to work on a one Act play in which everyone will have a speaking role. Students may only choose three clubs. Parents must be on time to pick up children. Sign up forms will be available in September. Please be aware of deadlines to sign up. No exceptions will be made after a deadline. Please note that meeting dates are subject to change or cancellation. Announcements will be made if a cancellation may occur. Nazareth Academy High School is offereing free after-school tutoring/homework help for our students in grades 1 - 8. This free service is offered on Thursdays from 3 - 4 PM in Mrs. Gaspari's 4th grade classroom. Studens from the High School help our students in the areas of Math and/or Reading/Language Arts. Please contact Sister Linda and return the attached form. Math Club is offered to students in grades four to eight, after school from 3 to 4 PM. Interested students are given an opportunity to enhance their First in Math skills, play math games, learn math tricks and reinforce important mathematical concepts through a variety of teacher guided activities. This program is held twice a month, as indicated on the school calendar, beginning in October and culminating in May. Classes are held every Monday after school.